He's got a Mop in his hand! And a Fez on his head! 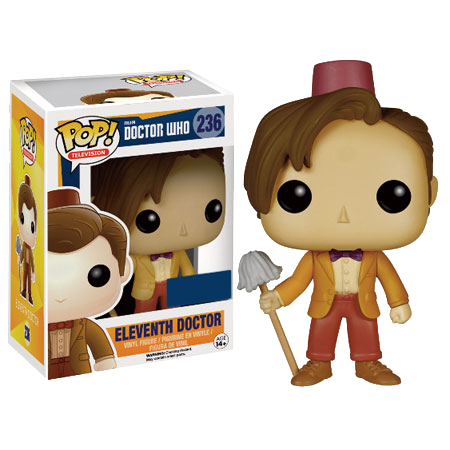 This Doctor Who 11th Doctor Pop Vinyl Figure features the 11th Doctor with Mop in his hand and a Fez on his head. 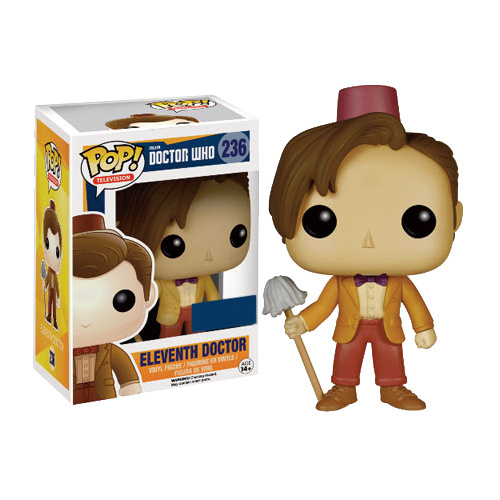 The 11th Doctor with Fez and Mop POP! vinyl figure stands around 9cm tall and comes packed in an illustrated window display box.